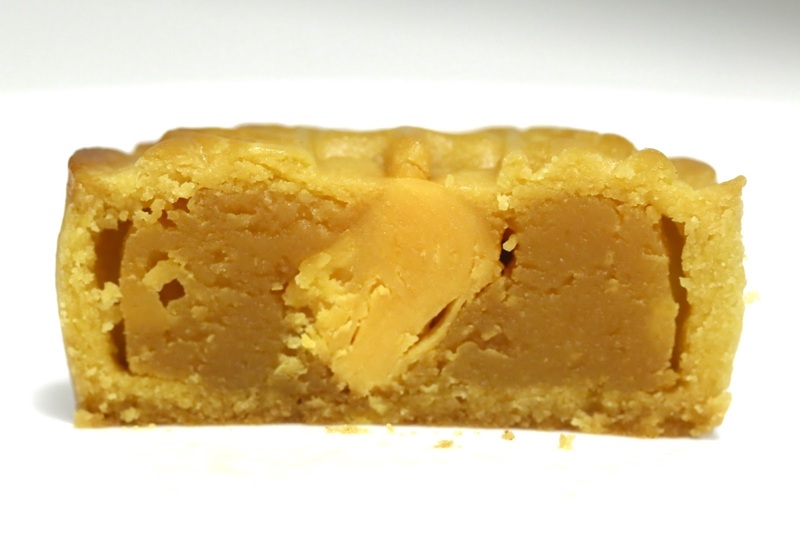 The traditional Chinese Mid-Autumn Festival is coming up, and so once again mooncake season is upon us. I've been writing about my own mooncake tastings for the last couple of years, but wasn't planning on another round of it this year. Until now. A few weeks ago I was contacted out of the blue by the good people at Good Goods Social Enterprise Concept Store (好好社企), which is under the Hong Kong Council of Social Services. 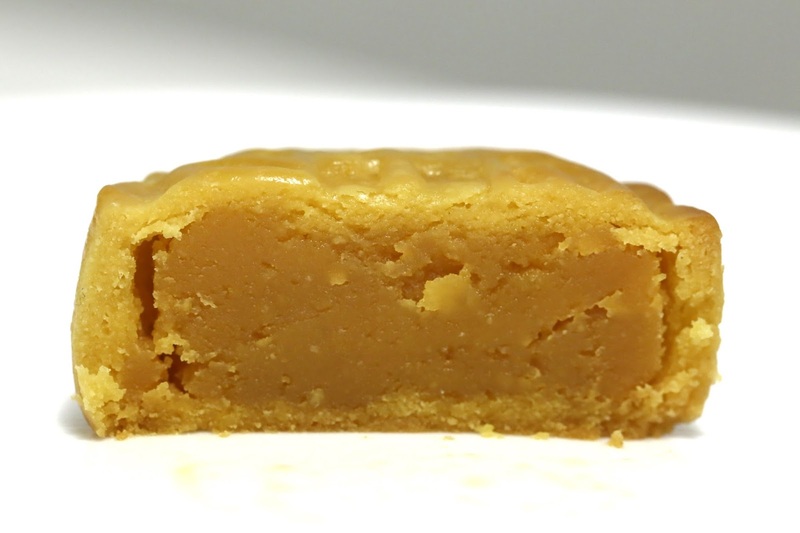 They were rolling out their batch of mooncakes this year, and asked if I would be willing to taste them, provide some feedback, and provide them with some publicity. I was a little taken aback by their interest, as I'm certainly not an influencer with hundreds of thousands (or even tens of thousands) of followers. But hey, since they're a social enterprise, I figured I'd give them the benefit of the doubt and try out the mooncakes. I even offered to pay for the box they were giving me. So... after a delay of almost two weeks - most of which was due to being laid up at home thanks to a bad case of gastritis - I finally got around to visiting their office to pick up the box of mooncakes. Humphrey and Edith very kindly (and patiently) gave me an introduction to the work they are doing at the HKCSS, especially the role they play as a platform for many small social enterprises which neither have the expertise nor the budget to market themselves. The focus today, of course, was on the mooncakes. These are made by a social enterprise bakery headed by a chef who came from a local 5-star hotel, although this chef prefers to remain low-key and anonymous. There are a total of 5 different flavors, which can be purchases on a per piece basis (HKD 38, or HKD 25 early-bird before August 31st). In box form there are two different collection, and the box I was provided with included both custard as well as custard and egg yolk fillings (HKD 250, or HKD 188 early-bird before August 31st). 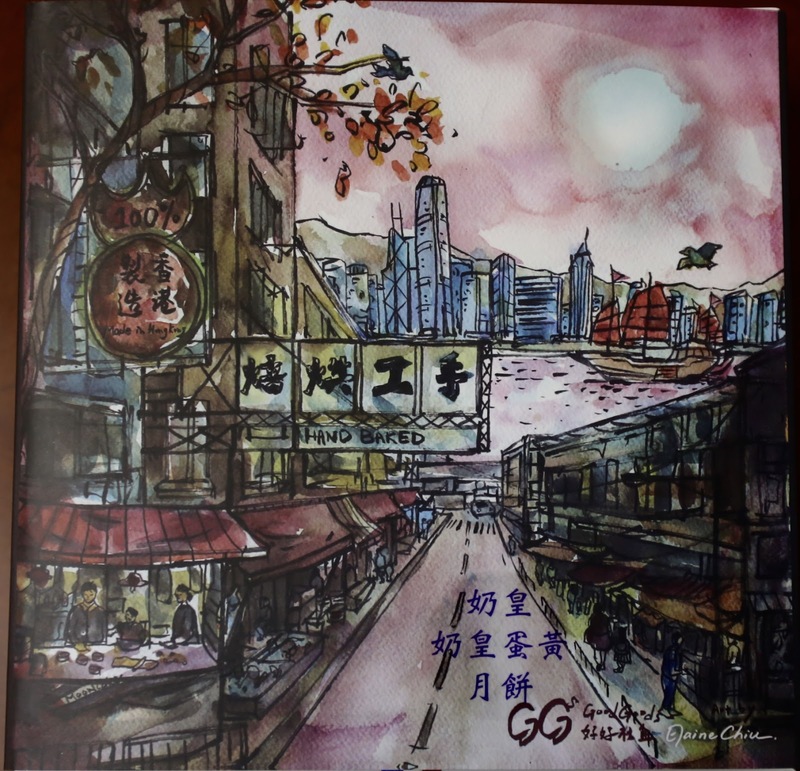 The box sleeve was painted by Elaine Chiu, an art student at Hong Kong University. I really like the watercolor painting for its very "local" look and feel. I tried out two of these after nuking them for a few seconds. Mini mooncake with egg custard (迷你奶黃月餅) - not bad at all. I'm not a connoisseur when it comes to mooncakes, but I thought these were pretty decent. Mini mooncake with egg custard and egg yolk (迷你奶黃蛋黃月餅) - a little more interesting thanks to the small chunk of egg yolk in the middle, making things a little less sweet. The quality of the yolk was OK - not too dried out and crumbly. When I was asked to give some feedback on the mooncakes earlier today, my reply to Humphrey and Edith was that I didn't expect these to be the best-tasting mooncakes on the market. Frankly, anyone who chooses to buy these aren't buying them because they beat out the ones from Spring Moon (嘉麟樓) in a blind taste test... and we all know that the Peninsula-branded ones all come from a factory, anyway - so there's really nothing special about them other than the name stamped on the boxes. As long as these mooncakes are reasonable in taste and don't leave consumers with a bad taste in their mouths, that should be fine. And I do think that these mooncakes taste fine. I'm not a huge fan of mooncakes, but I'll happily eat these if they were given to me. So... although I'm usually not in the habit of giving mooncakes to others, I think I'll go and buy a few boxes to give away. Humphrey and Edith also introduced me to their SE Gift Certificates, which can be used at numerous restaurants and shops around town, including (to my surprise) Leonidas Chocolate outlets. Since they declined to let me pay for the box of mooncakes, I ended up buying a few certificates for use later. There's a Leonidas Chocolate counter right in my office building, so I guess I know where I'll be using the certificates! I was also given a quick tour of a Good Goods shop, which stock food and other items made not just by social enterprises here in Hong Kong but also Japan. 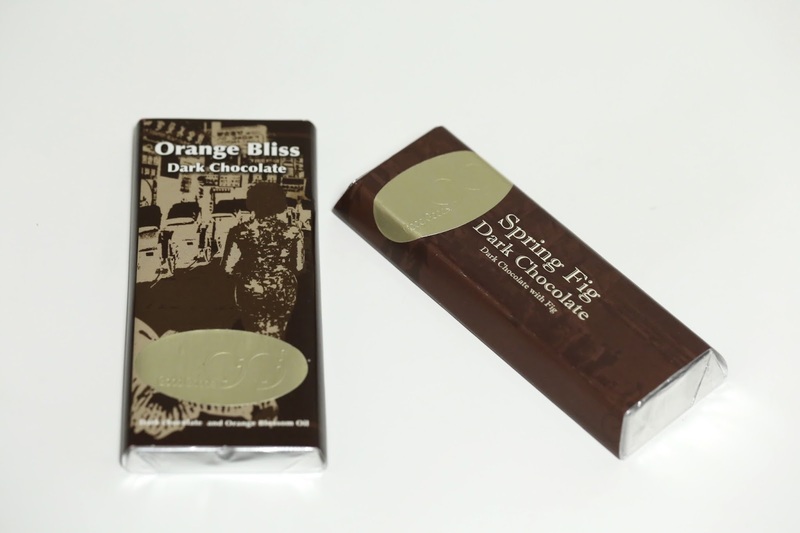 I decided to pick up a couple of chocolate bars made here in Hong Kong. 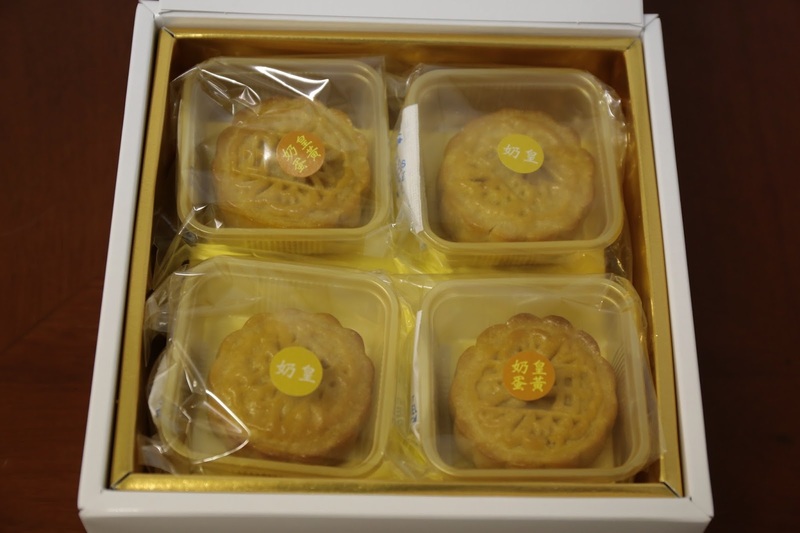 As Mid-Autumn Festival approaches and people start thinking about buying mooncakes as gifts, it is my sincere hope that more people would consider the ones from Good Goods in lieu of ones from traditional suppliers such as 5-star hotels around town. I think those people who aren't concerned about brand names would be just as happy to receive these, and we can do a little more to help those in need within our community. The mooncakes can be ordered here. Thanks Peter for your note. Quite a few social enterprises cropping up these days. Actually many of them serve very decent food and drinks. I am pleasantly surprised.